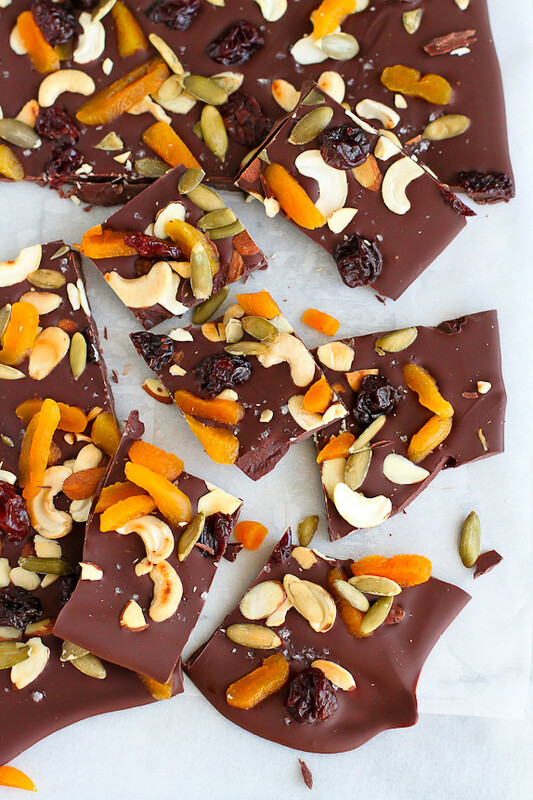 Whip up this pretty and delicious trail mix chocolate bark in no time! 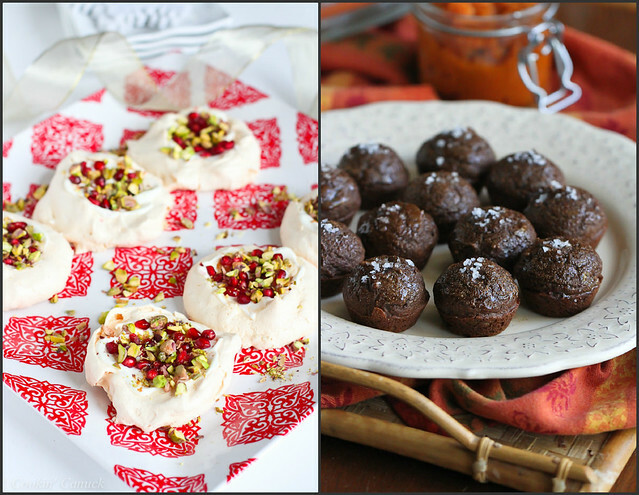 It’s packed with great flavors and is perfect for dessert or gift-giving. When the calendar turns to December, I immediately pick up the phone for a very special phone call. This phone call has been occurring ever since I’ve lived in a different city than my parents and it takes the place of the live performances of my youth. You see, my mum is a stickler about not singing, listening to or otherwise the acknowledging the existence of Christmas carols before December 1st. Truth be told, she passed on her passion for the subject to me and I am now the stickler in my own house. So, on December 1st, I call my mum. She knows the call is coming. My dad won’t even pick up the phone when he sees my number flash on the phone. He knows it’s not for him. When she answers, there’s not even a “Hi, how are you?” It’s straight into a Christmas carol, sung loudly and proudly, with the enthusiasm I remember from my childhood when I was FINALLY allowed to bust out my own rendition of “Winter Wonderland”. I figure that if the Christmas carols are allowed to make their appearance at the beginning of December, so are the holiday treats, like this dark chocolate bark. Life can’t be all about salads and chicken breasts, right? That being said, I couldn’t resist putting a “healthy” spin on this chocolate bark. Out came the raw nuts, dried fruit and pepitas (raw pumpkin seeds). If you prefer, you could easily grab a handful of your favorite trail mix and sprinkle it over the melted chocolate. 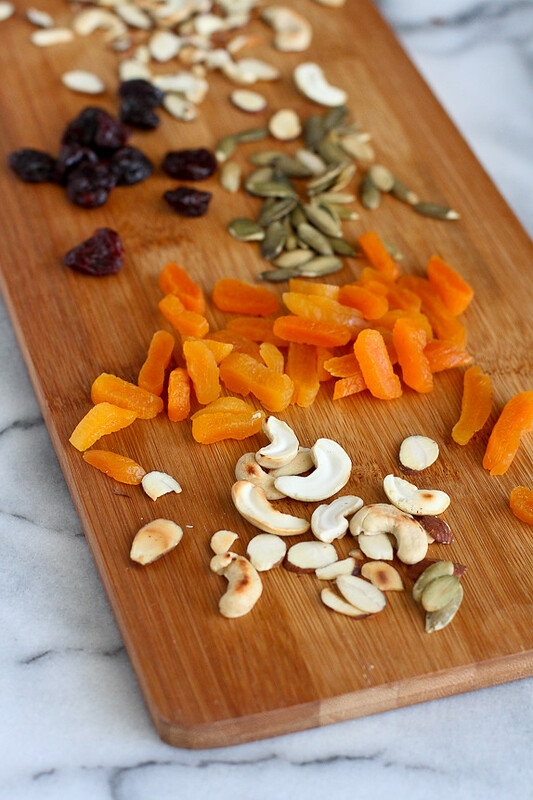 However, many trail mixes, unless homemade, are made with roasted and salted nuts, and I was really going for the unadulterated flavor of raw nuts with a sprinkling of sea salt on the side. 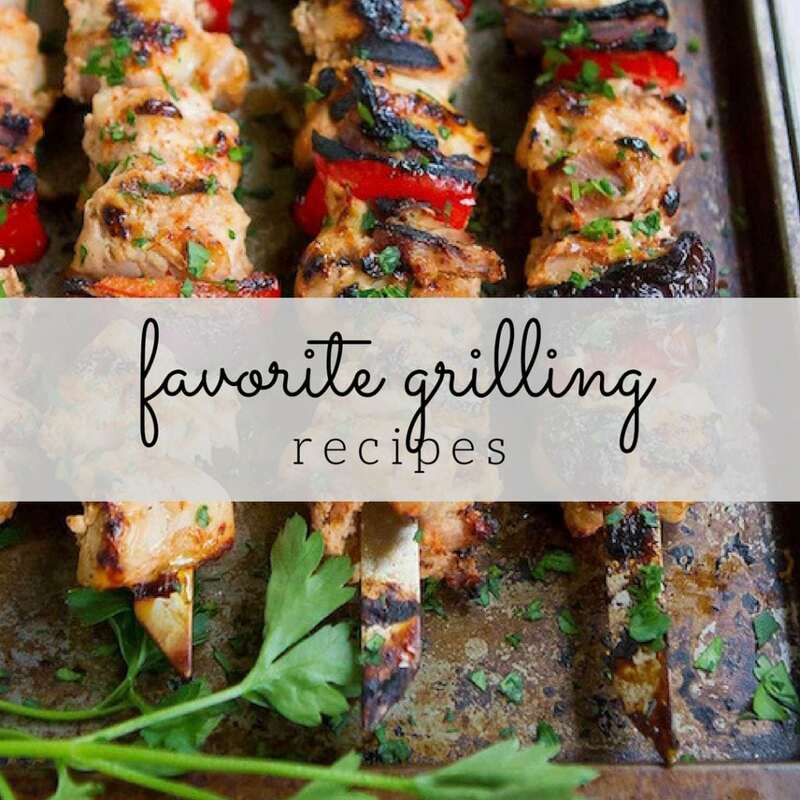 The beauty of this recipe is that it’s very versatile. 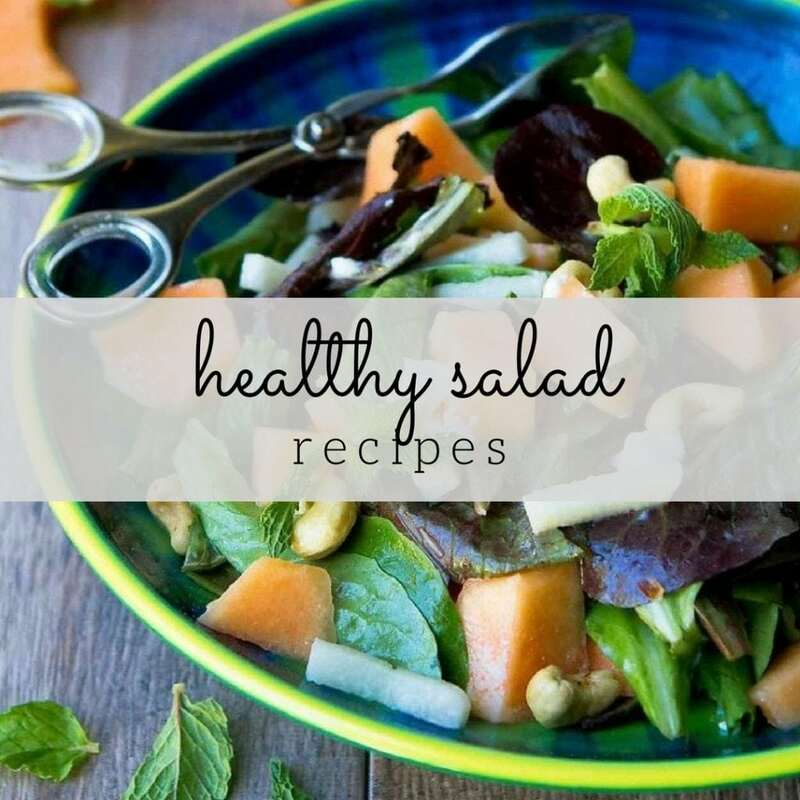 If you prefer the flavor of different nuts and dried fruits, then by all means make the substitutions. The whole process of preparing the toppings and melting the chocolate takes about 10 minutes. The hardest part is waiting for the bark to set in the fridge! Once it’s ready, this bark makes a fantastic holiday dessert and is perfect for giving out as gifts. 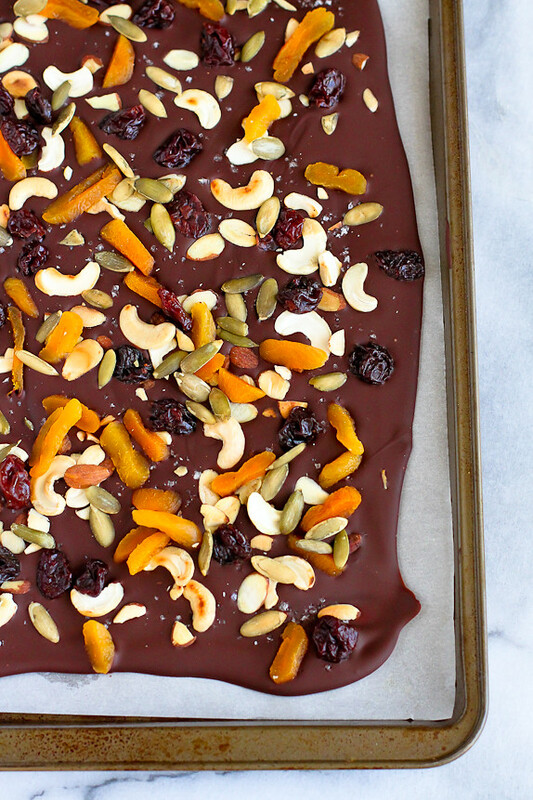 Whip up this pretty and delicious trail mix chocolate bark in no time! 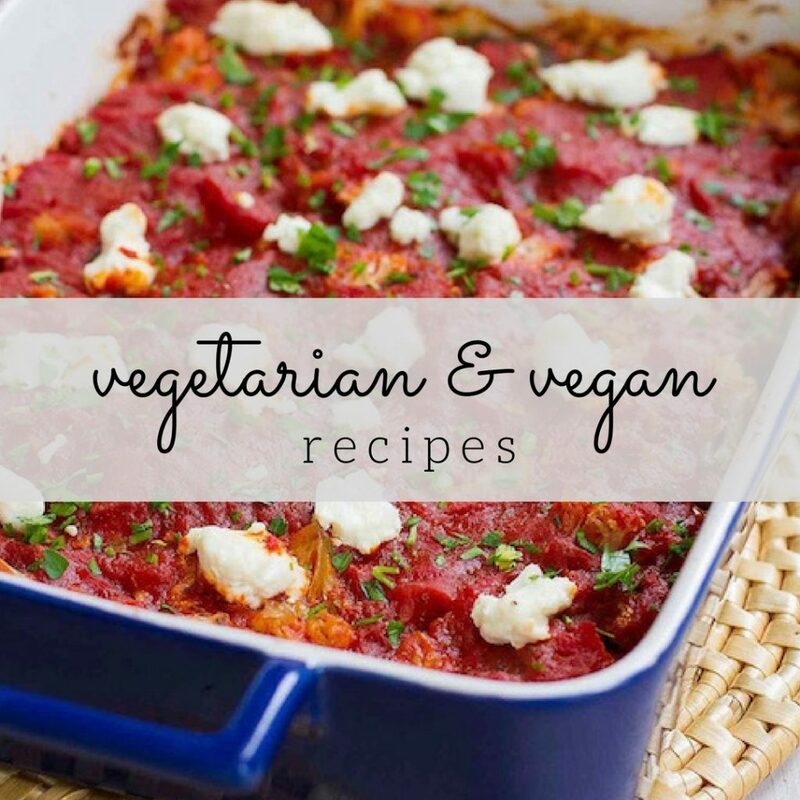 It's packed with great flavors and is perfect for dessert or gift-giving. Place the cashews and sliced almonds in a small saucepan set over medium heat. Toast, stirring occasionally, until the nuts of light golden brown. Watch carefully so that the nuts don’t burn. Set aside. Fill a medium saucepan with 1 to 2 inches of water and bring to a boil. Reduce the heat so that the water is at a lively simmer. Place the chocolate chips in a medium bowl and rest on the medium saucepan, so that the bowl is elevated above the simmering water. The water should not touch the bowl. Stir until the chocolate is melted and smooth. Using an oven mitt (the bowl will be hot), lift up the bowl and wipe the bottom of the bowl with a dish towel (see notes). 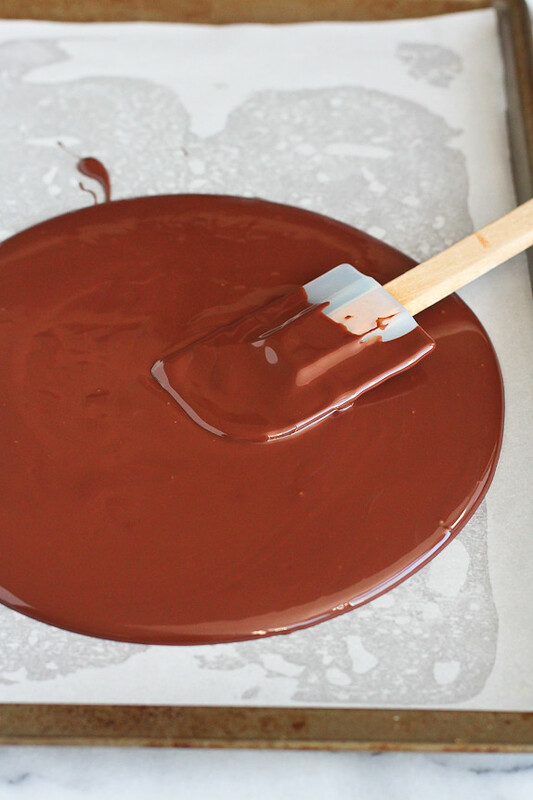 Using a rubber spatula, scrape the chocolate onto the prepared baking sheet. Spread the chocolate evenly to form a rectangle that measure approximately 8- by 12-inches. Sprinkle the sea salt over the chocolate. Evenly sprinkle the nuts, apricots, dried cherries and pepitas on top. Transfer the baking sheet to the fridge for about 1 ½ hours to allow the chocolate to harden. Break the chocolate bark into pieces that are about 2- by 3-inches. Serve or store in the refrigerator. Note: The bottom of the bowl is dried so that no water drips into the chocolate. Water can cause melted chocolate to seize up. Awww, what a sweet tradition! Love it! This bark looks fantastic! This looks so good Dara, perfectly set and great toppings! Your December 1st tradition is a tradition in my family, too—except, my mom has to be reminded of that when she starts humming “Deck the Halls” a couple of weeks before Thanksgiving! This bark is so pretty! I know I would be happy to receive this as a gift! We always get in the spirit right after Thanksgiving, the decorations come out the next day! This is gorgeous! Will definitely have to try this and my kids would have a blast helping! How easily customizable is this! And I love you belting out the Christmas carol to your ma over the phone.